Coldwater, MI—October 5, 2010—BDS Suspension is proud to announce their new 6.5’’ HC Suspension System to lift new GM HD trucks and allow the fitment of 37s. BDS is the first to market with this American-manufactured 6.5’’ System with kits available and shipping out now! 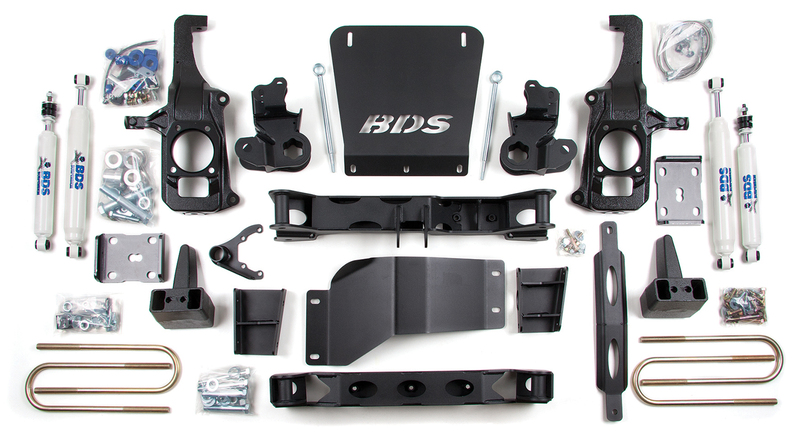 As with other BDS IFS systems, this kit’s one-piece crossmember is made from 1/4” steel with internal supports and is built to handle any abuse you can throw at it. The extreme high clearance design and BDS exclusive No Torsion Bar Drop design eliminates lowering the torsion bar crossmember, improving ground clearance and the overall aesthetics. BDS also includes both differential and front impact skidplates creating a bulletproof drivetrain backed by an Industry Exclusive, No Fine Print LifeTime Warranty. CNC machined replacement steering knuckles ensure OE steering geometry and offer no change in track width as well as zero change to OE turning radius. Our knuckles are 100% resonant frequency tested as well as random X-Ray tested to ensure a quality product made right here in the USA. In the rear, this system uses a 5” block kit that eliminates the square u-bolts and switches to a stronger round u-bolt set up. The rear 5” block even has a cast wing creating a new bump stop point. This system comes complete with BDS 5500-series shocks front and rear and can be upgraded to 9500-series gas shocks. Stainless Steel brake lines round out this system, replacing the weak factory lines. 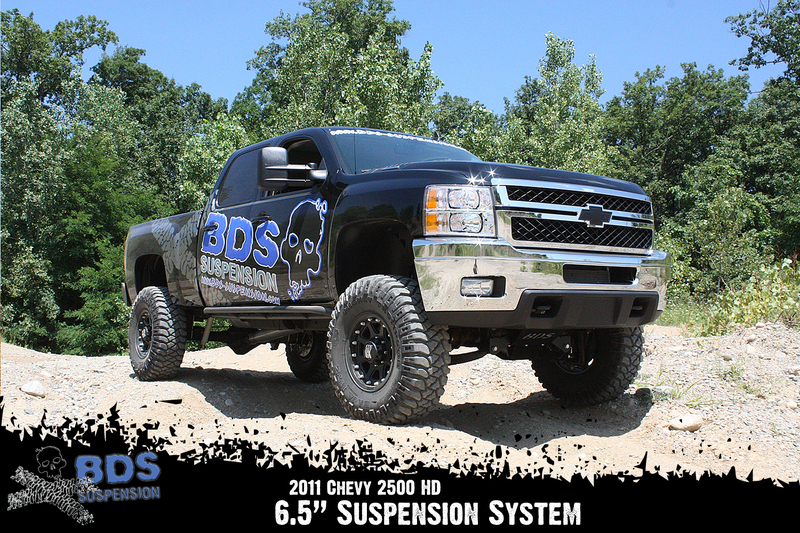 For more information, check out BDS-Suspension.com or check with your local BDS distributor.